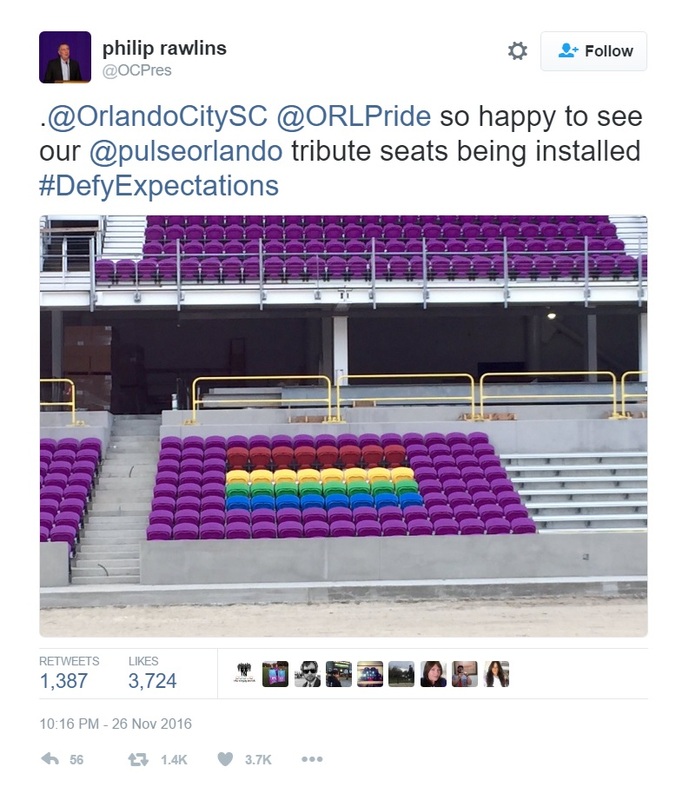 Orlando City Soccer Club dedicates stadium seating to Pulse victims. Philip Rawlins, President of the Orlando City Soccer Club, announced the new seating section on Twitter, sharing a photo which shows off the rainbow rows in between the stadium’s purple seats. 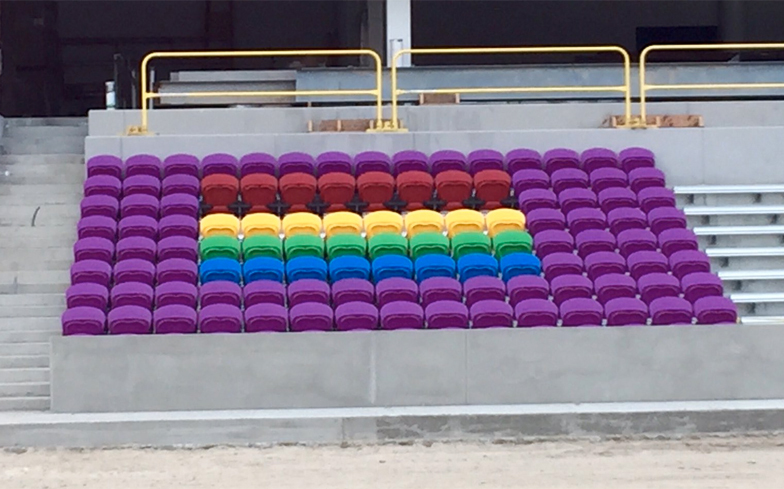 He wrote: “So happy to see our @pulseorlando tribute seats being installed #DefyExpectations”. 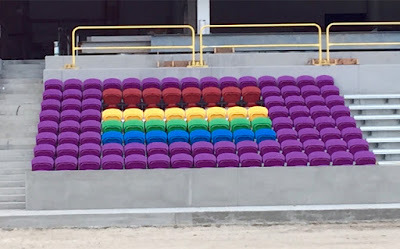 The stadium, which is scheduled to open in 2017, will also include a row left empty to commemorate the 49 people who lost their lives in the 12 June mass shooting at LGBT nightclub Pulse in Orlando, Florida. It’s not the first time the soccer club have paid tribute to the victims, in the wake of the massacre, players wore special rainbow patches, held a moment of silence, and donated $100,000 to the OneOrlando Fund to help victims and their families.